A street festival is conducted in the Downtown Collingwood every year. 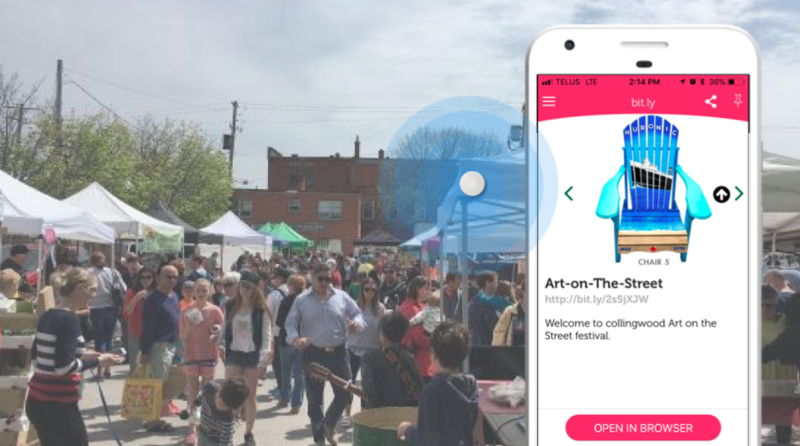 The organisers introduced proximity marketing using beacons to this annual art event. Each year’s festival has a different theme. This year’s theme is Collingwood history, and the event is conducted from May 19th to October 6th, 2018. As a part of the decoration, painted Muskoka chairs are being lined in the Collingwood’s sidewalks. The art is hand-painted Muskoka chairs, done by various local artists. They mounted beacons on every Muskoka chair. Due to their water-resistant and dust-resistant resistant property, these beacons withstand the outdoor environment in the streets. Attendees who switch on their Bluetooth on their smartphones will get a notification on their phone when they are in the vicinity of the painted chairs. Clicking on the notification will provide details about the chairs – the photo of the chair, historical information of the image depicted and information on the artist who painted it. There is also a call-to-action (CTA) button that takes the user to the art on the street’s website. This use case is very similar to beacon applications in museums. However, it is very smartly designed to fit into events. In such applications, it is crucial to configure the transmitting range of the beacon to an accurate distance. It works best when notifications from different chairs do not overlap. Collingwood also used the beacon campaign to generate revenue. They claimed that a part of the revenue generated from the street event would go to charity. John, all enthusiastic to buy his first-ever luxury car, was standing in front of the Audi Q2 in a busy store. It was a busy day at the dealership and no salesperson was able to attend to John. But boom, John still received all the relevant specs and information about the car, on his phone. Thanks to technology, instead of being annoyed and leaving for another dealership, John was impressed with the dealer for delivering the right information at the right time! Well, John is obviously a fictional character, but the scene I just narrated isn’t a fictional sci-fi movie – it’s all achievable with JoeBeacons! 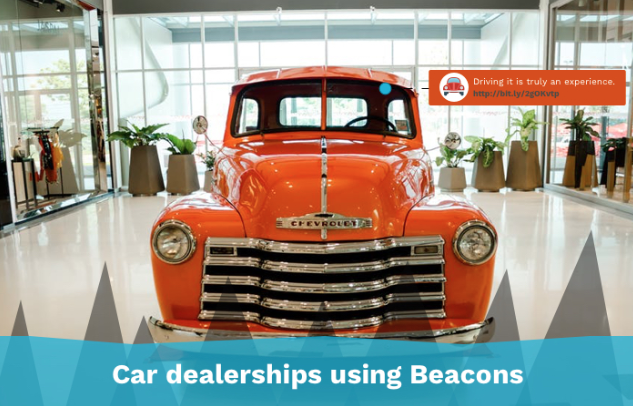 Why get JoeBeacons to your showrooms? We believe that marketers should focus on what they are excellent at – executing targeted campaigns. That’s why we’ve created beacons that are ready to run campaigns out-of-the-box. No app or developer required – start rolling in less than 15 minutes! If you are planning to try out beacons, take a look at JoeBeacon, that includes everything you need to get started. Using JoeBeacon you can set up your own campaign, without a developer’s help!